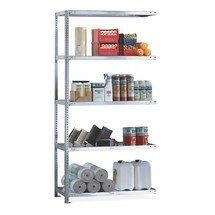 The steel shelves provide optimum storage space even for small goods. 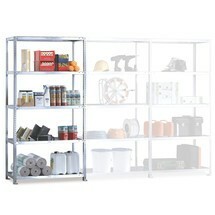 The steel shelving can be accessed from both sides, making it ideal for use in the middle of the room and in rows. This add-on unit serves as a long-term, highly customisable storage solution. Hole patterns positioned in increments of 62.5 mm allow you to determine the height of the individual shelves. 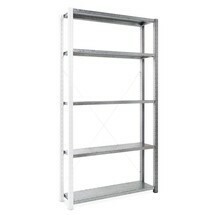 Assembly of the shelving system could not be simpler: You simply connect the frame elements and shelves together without the need for any tools or bolts. 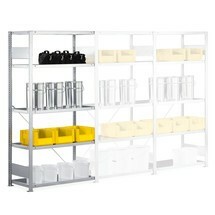 The steel shelving can be accessed from both sides since the structure does not require rear cross bracing. 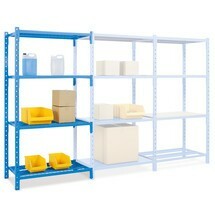 The shelf rack is supplied in sky blue (RAL 5015). 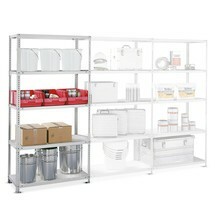 We also offer matching base units for this product. 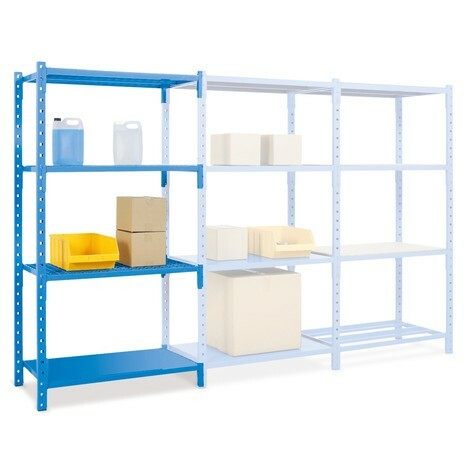 Please note that the data regarding maximum shelf and unit loads is based on evenly distributed loads. 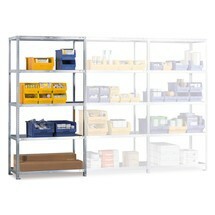 Order the shelf rack add-on unit with steel panels and shelf loads of up to 500 kg from us today.